Chris and Teri bring to light what is really under the hood of the healthcare system and wellness in general from their first hand experience and their guests. In order to win in the healthcare game you need to do it different from the masses...they tell you when and where those times exist. We know you're busy, have bills to pay and healthcare is crazy expensive. Spend 20-30 minutes with us (listen at 1.5x is you have to!) and we guarantee you will learn a something you can leverage to live happier, healthier and probably with some more cash in your pocket! Director of Performance, Alex Cassella, joins us today to chat about a very important topic - how to broach eating healthy and with kids successfully. Don't miss this one if you have ever struggled with this incredibly touchy and difficult topic. 33 - Telehealth - Does it work and it is the future? Not feeling so great? Kids sick? 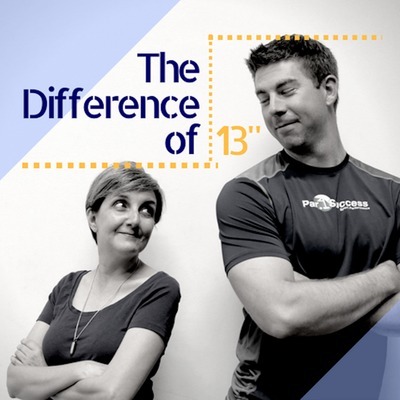 Chris and Teri talk about when to use the latest technology and the future of medicine vs when to go to the local minute clinic vs when to go to your primary care MD. As always, discussing not only the cost factor or what to consider, but also the time savings or costs as well as the convenience factor. You interested in seeing the doctor while still in your bed and in your pajamas? Teri did it and here what her experience was like! 31 - Self Help Pain Solutions - Are they worth it? 29 - Foam Rolling...does it really work? This week we chat about how to keep it going when life isn't going your way. Chris and Teri both know about unplanned events (open heart surgery and multiple other things) get in the way of your plans and your happiness. How did they get through it and what are the options out there available to you to explore to help you when you need it? Listen and find out! Teri speaks from her over 10 experiences on this topic and Chris discusses this really hard question from a medical perspective. Together, they both give you a best practice formula on how to evaluate your specific situation. They provide a map or pathway that allows you to make sure you exhaust all your options prior to going under the knife...which should always be a last resort! 25 - Drug Money - How Does Insurance Work With Medications? 23 - Dr. Eric Westman - Is Keto Safe? 20 - Copays, Deductibles, Coinsurance...WTF?! Is it financially smart to use your insurance for Physical Therapy or other medical expenses? If you haven't met your deductible, then probably not! And even if you have...you still might be wasting money. 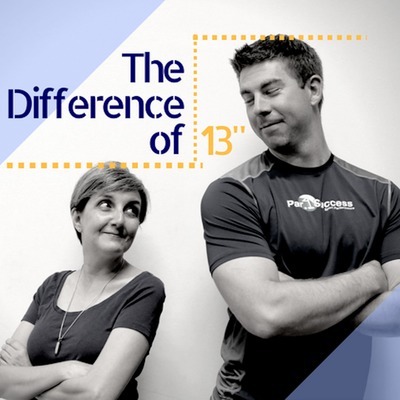 Chris and Teri educate you on the BIG THREE when it comes to understanding your insurance and when it makes sense to use it or not. Co-pays - Co-Insurance - Deductibles. Did you know that when you don't use your insurance the cost is often 50% less! Doctor of Physical Therapy, Bobby Prengle, will talk about how what he was taught in school has or has not helped him with what he faces every day in clinic. You will hear different perspectives between the recent PT grad and the not so recent grad (Chris). He will talk about how differently healthcare is practiced in North Carolina vs Texas vs Florida and how clinicians have to “walk differently” with different clients. Teri and Chris have an amazing guest this week from half way across the world! Kim is a leader in her field and has been featured in numerous outlets regarding how to live fully without a full schedule! She highlights her mindful philosophy encouraging people to live in the moment and even gives Chris and Teri some advice on how they can improve themselves! Be sure to check out all of her latest work and keep up to date with where she is in the world on her website: http://www.kimforrester.net This is one of the best episodes we have had yet! Link to blogs on her page: https://medium.com/thrive-global/changing-your-relationship-with-time-will-make-you-more-productive-and-successful-831156b0cca3 https://medium.com/inspiration-exe/the-art-of-letting-life-come-to-you-377d7988c892 https://medium.com/thrive-global/the-day-i-banished-busyness-b80b6e6003a9 https://medium.com/inspiration-exe/life-is-not-linear-c31f5a1b5b6b"
Why is having happy and healthy employees important? How can do accomplish this with a limited budget of a small business? Chris and Teri cover all this and more! 14 - Standing vs Sitting at Work...Which is Actually Better? Teri and Chris discuss the HUGE movement towards standing desks to cure workplace health issues such as back pain...is it really all it is cut out to be? Are there risks associated with standing desks that are not present with sitting? What about risks with sitting that are not there with standing? We dig deep in this episode to give you the real scoop! This episode is for a request from one of our reviews on iTunes, keep them coming everyone! Teri and Chris have Frank Muntis, a Certified Strength and Conditioning Specialist and Olympic Weightlifting Champion in Kentucky on to discuss details of when to have a coach vs no coach, details of safe eccentric training, and some funny stories of epic fails in the gym! Ever wondered if there was a different way to navigate insurance and healthcare? Ted Graham, one of our physical therapists at Par4Success, has been defying the status quo since he was cleaning up tracks for Snoop Dogg back in the day. Today, he helps us explain how insurance can sometimes hinder growth and progress in the healthcare world, especially as far as value is concerned. This episode is all about how to stay healthy when on the go. Whether you're a busy mom or dad, business executive, business owner, college student, or even a professional athlete, this episode is for you!